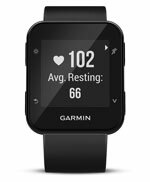 Welcome to Garmin Forerunner - reviews and comparisons for the best range of Garmin GPS running watches and activity trackers. This website is designed to showcase the Forerunner series and to help you find your next training partner. 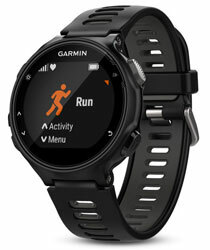 Garmin Forerunner GPS ﻿running﻿ watches are the perfect training partners for every fitness level. Whether taking your first steps towards a more active lifestyle or pursuing a ﻿personal best﻿, you’ll find a Forerunner﻿ ﻿to help you achieve your fitness goal - in a way and at a pace that suits you. These watches track all of your activity, including running, swimming and cycling. Combining ﻿﻿good ﻿looks ﻿with features that you can use for your next triathlon or ﻿ultra﻿ marathon. Perfect for beginners or runners that only want simple data. Tracks distance, pace, heart rate and calories. 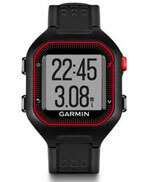 Easy-to-use GPS running watch with wrist heart rate which tracks how far, fast and where you run. 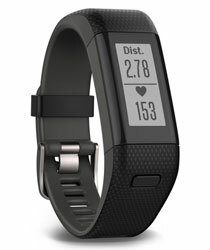 Includes activity tracking. Lightweight running watch with wrist-based heart rate which can also be used for cycling, swimming and more. 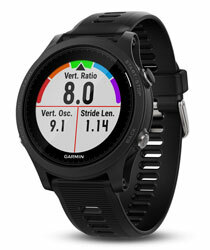 Garmin's most advanced running watch with extras such as stress score, performance condition and lactate threshold. Older but no less effective outdoor training watch. Available in a range of options including Sapphire glass screen. The Fenix 5 family is a premium sports watch range designed for adventure. 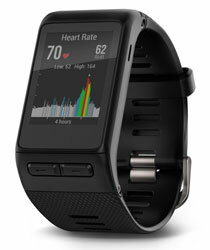 Available in 3 different models with wrist heart rate. A lightweight running watch with wrist-based heart rate which can also be used for cycling, swimming and more. 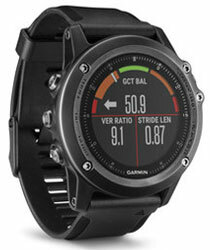 The latest multisport watch from Garmin takes its looks from the Fenix range but in a much lighter case. Garmin offers a wide range of trackers and smartwatches for the active lifestyle. Perfect for helping you keep moving during the day, measuring your daily step count, intensity minutes and active moments. Easy-to-use activity tracker with move bar and audible alerts. Helps you to keep moving during the day. 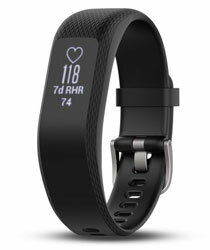 The thinnest Garmin wrist heart activity tracker with discreet display. Measures VO2 Max and stress. 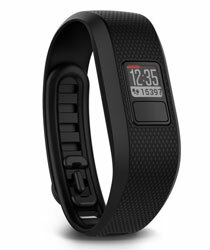 Counts sets and reps.
24/7 activity tracker with GPS for jogging or walking. Tracks distance, pace, personal records and virtual pacer. 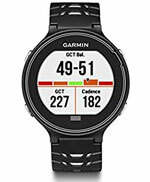 GPS smartwatch with connected features and wrist heart rate for running, swimming and cycling, playing golf and more. Why should you buy a Garmin running watch? Accurately track where you've run, how far and how fast. Advanced watches include GLONASS for a stronger GPS signal. All Garmin sport watches are water resistant up to 50 meters (5ATM) so can be worn in all weather conditions. 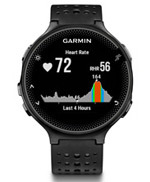 Garmin have improved their sport watch designs over the years. Latest versions are stylish and sophisticated. 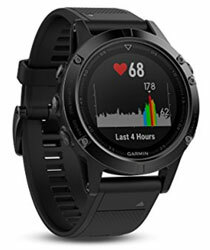 Modern Garmin running watches measure heart rate from your wrist 24/7, no additional heart rate strap required. By wearing an HRM-Run or by using the new Pod you can receive measurements for improving your running form. If you see m﻿e﻿ ﻿﻿collapse﻿﻿, pause my Garmin!